We provide Emergency Plumbing and HVAC Service! Howell Services offers all kinds of discounts & savings to help cut your plumbing and HVAC costs. 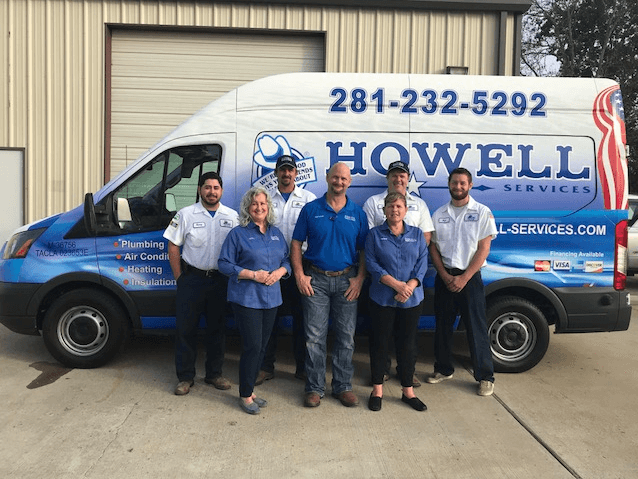 Howell Services provides full-service plumbing. We are ready to handle any of your plumbing needs in a timely matter. We are experts in air conditioning repair and installation providing extensive preventative maintenance plans. Complete our online form to schedule your plumbing, heating, or cooling repair and installation. We specialize in residential and small business plumbing, drain cleaning, air conditioning and heating service. We employ only the most qualified technicians in the industry and offer the best service available to the Fort Bend County area. We are your family-owned, local plumber. Stay informed about how we can take care of your home. Want to check out our offices? Feel free to stop by. Need to make an appointment? Calling us and a person will pick up! Have question regarding our products and services, see below to request a call via email.